I have a handful of favorites in the world. Ranging from the Maldives via the bustling Big Apple to the picturesque Tuscany. Latter one stands above all destinations I love. I mean there is just nothing wrong about sipping a deep red Ornellaia, having a Bistecca Fiorentina (Florentine T-Bone steak) after having started lunch with a truffle topped burrata to then fall into food heaven and hoping to stay forever. This sounds like the perfect first day of vacation in Tuscany which I normally spend in the Chianti area, but only to then hop in a convertible to do the last two hour stretch to Castiglione della Pescaia. Heart of Tuscan Maremma, I am well aware that Chianti and Florence is frequented more by international tourists than locals. The complete opposite applies for the Maremma. A laid back region in the very South of Tuscany directly on the coast - and from my point of view the most adorable and prettiest spot on the Tyrrhenian Sea - this is the real place to hide away. Up to now there are only three hotels that shall be on our list. One that is so expensive you probably look broke if you don‘t arrive by helicopter and the other one set in a pretty harbour town looking a bit overpriced. 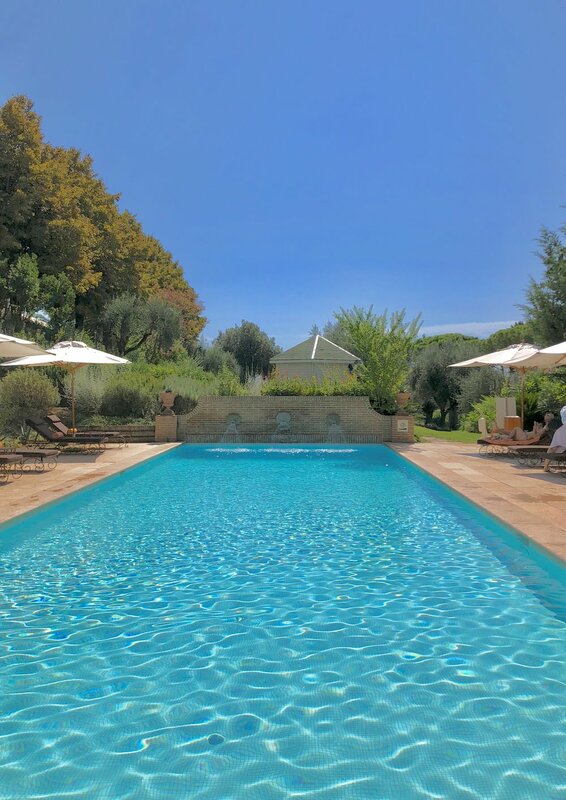 Perfectly in the middle, there is L‘Andana offering a respectable value for money plus being one of the chicest countryside retreats making it my favourite resort in Tuscany. Owned by the Terra Morreti Group, L‘Andana is part of an Italian Empire that is well known for it‘s stunning wineries such as Bellavista producing the A-list Franciacorta (Italy‘s Champagne) as well as top-winery Petra also situated in the Maremma. Being a fan of both wineries (first one makes the top) and obviously of both hotels, L‘Albereta and L‘Andana, we only have best memories to these brands. So I was in for writing a dedicated extensive review of the renowned L‘Andana resort and made another dream come true. Let‘s begin with the arrival. I can‘t remember any hotel arrival that is as cool as this one. A 2 km long array of pine trees and cypresses make the way from the main gate to the villa of the property. After ringing the bell and telling the name, the gate opens and while you drive to the parking spot, the team arranges everything for the arrival so that once you stop the car, the bellman opens the doors and greets you by last name. Walking up the stairs to the pretty lobby, we were already welcomed by the two front desk attendants who handed over a refreshing fruit water. To be honest I wouldn‘t have mind a glass of Bellavista, however it was actually fulfilled later on when I never ever expected it ;) Being a smaller member of The Leading Hotels of the World, the guest is still a person rather than a number, so no wonder that the general manager Riccardo himself arrived and welcomed me personally to L‘Andana. Soon afterwards I was on my way to the room with Giulia from the front desk. Obviously she was showing me around the property to briefly help me orientate and get familiar with the property again. Without having had any further expectations than knowing L‘Andana will deliver a perfect and flawless stay, once the door opened I was a bit insecure. Did I get the wrong room? What happened to the L‘Andana what I was expecting? So the door opened and believe it or not, I was staying at what seemed to be L‘Andana‘s top suite. Situated on the third floor of the Villa building, the suite was extremely vast and boasted views of the property and the sea on the horizon. Maremma is a very fertile area with lots of grains, wine production and other products such as fruits so don‘t expect too much hills like in the Chianti. Back to business, I went ahead into the suite and was welcomed by a writing desk setup that was made out of two chairs and a desk with a welcome letter, chocolates and strawberries - of course the latter was handwritten and personal. Right next to the entrance was the guest bathroom with bidet, toilet and vanity desk continued by the stunning living room that offered a comfortable sofa, two low chairs and a table in front of the electronic fire place. Another writing desk overlooking the countryside added the cherry on top of the interior design that was already a fair 10 out of 10. I know I once said that a suite has to have separate bed- and living rooms, however this changed once I learned this depends on the concept of the hotel and I think it would be unfair not to call this vast room a suite. The bedroom was semi separated on the opposite site of the living room and had a second television next to a Bluetooth docking station for your phone by Marshall. I have to say this was the right touch of 2018 in this tuscan country home style. From the bedroom I walked past the huge walk-in wardrobe to find what seemed to be one of the more spacious hotel bathroom in Italy I have seen so far. With a double vanity desk, walk-in shower, deep bath tub, toilet and bidet as well as another electrical fire place and relax chair. I didn‘t trust my eyes when I discovered the full size Maison Francis Kurkdijan toiletries (150ml), however to all my surprise this wasn‘t it: L‘Andana also offers wooden hair- as well as toothbrushes, Marvis toothpaste and good shaving kits. The suite itself was perfect in terms of size as it was not too spacious. You all know the problem when suites are too big: you loose stuff easily and once a phone rings, by the time you reach it, it‘s not ringing anymore. I didn‘t have any of these problems. Remember when I was missing a glass of bubbles at check-in? Well, it must have been luck (or extremely good preparation by the property) that I was offered an entire bottle of Bellavista as a welcome gift along bottled Tuscan water. This way I didn‘t open the minibar during the stay. What was the main reason for my stay though? Well, I am a lover of British spa brand ESPA and beside needing to buy a few products, I enjoy their spas a lot. Their idea of a heated vitality pool along a good sized indoor pool is always very much appreciated when I travel. However the sun was out and I decided to give the lovely outdoor pool a try. What‘s better than reading a good book on the pool, while lying under the pine trees and being served some bubbles along with a light pasta dish from the cool pool bar? Actually it was at L‘Andana a few years ago when I was finally convinced to use ESPA products for the daily use. 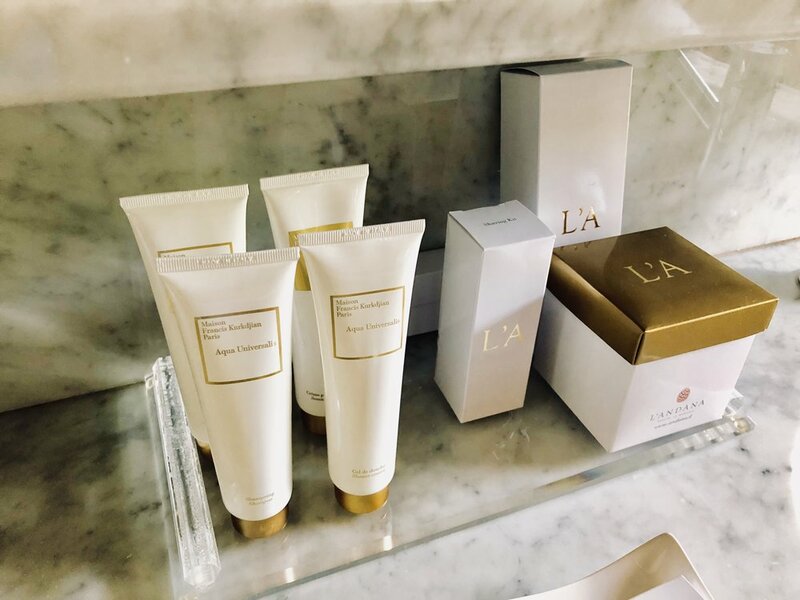 Even tough I knew the brand from my favourite London hotel, the spa team at L‘Andana offered a complimentary 15-minute testing treatment to get to know the brand. Unfortunately they no longer offer this service. Back then I was impressed how easy it is to use the treatment-free times of the staff and generate ancillary revenue - this service embossed my career in the hotel industry. To sum it up the spa is in perfect condition and has a great array of opportunities to spend a day inside once the weather is not that great outdoors. Or just waiting for sunset and switch from the outdoor pool to the indoor pool for one last swim before the dinner. L‘Andana has two restaurants on site including the famous Trattoria. Since the staff of the hotel recommended an amazing place to dine during my last stay, I made sure to reserve a table there again long time ahead of my stay this time. We drove into the town Castiglione della Pescaia (5 minutes by car) and tried to find a parking spot to dine at Molo Sedici, one of the coolest seafood restaurants on the Italian coast. I love to indulge in amazing light Italian food plus being surprised by a sommelier who has an excellent fresh taste. You guess it right, staying at L‘Andana needs an evening trip to Castiglione at least once. A heavenly sleep later, I woke up to a view that caught my breath again. One of the downsides when staying at the Villa building is that it smells like freshly baked pastries once you leave the room (of course that is only a downside once you are trying to stick on the low carb side as me haha). How could you resist having a cappuccino on the pretty outdoor garden of L‘Andana. There was I, sitting under the pine trees, listening to the water splashing into the lovely jacuzzi and listening to the surrounding birds. Honestly, it was actually the best place to start this year’s holidays however next time L‘Andana will be my final destination for the entire week of vacation. 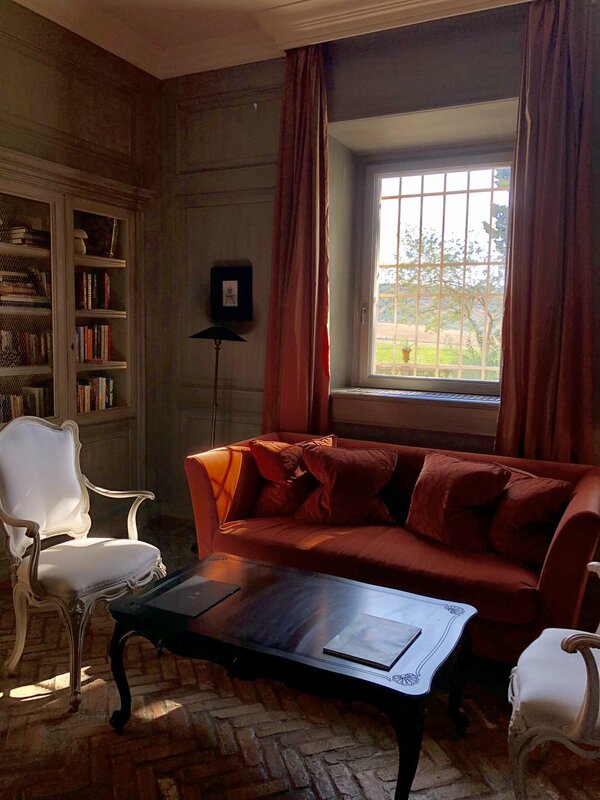 To sum it up quickly, combine a stay at L‘Andana with a night or two in Florence and use the hotel‘s possibilities including private access to the Petra and Bellavista wineries plus access to the golf and tennis course on site. For me it is a perfectly managed hotel in an amazing setting just in between Castiglione della Pescaia and Grosseto. The amazing interior design, flawless service and fact that two of Italy‘s best wineries are associated with the property make it the right place for Luxury Executive.